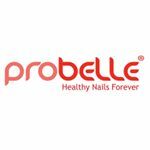 I am a 27 year old British nail art blogger residing in the Netherlands. I have a huge passion for all things nail and hand care related. 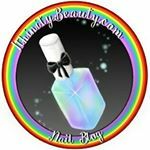 I have been running my blog, IthinityBeauty for over four years now and have loved every moment. I have learnt so much on my journey so far. My blog specialises in unique, hand painted miniature designs, product reviews and nail polish swatches and tutorials. I have a background in fine art and make up artistry, having studied at The Academy of Freeland Make Up in London back in 2008. Due to this I have also had the fantastic opportunity to assist at London Fashion Week on several occasions. I invite you to join my nail art journey by clicking any of my social media account. I am always on a mission to surprise with my nail art! Demographic data for @ithinitybeauty's audience is available for free to influence.co users.